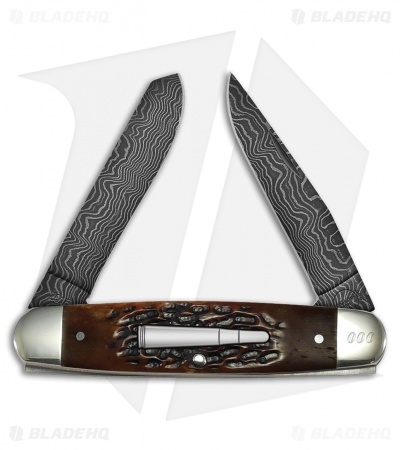 Introducing the Limited Edition 2015 Damascus Bullet Knife made by Remington! Only 500 made, get yours now! Clip point and spey blade made from damascus steel. Amber jigged bone handle with nickel silver bolsters. Bullet design on handle. Included is a free Remington Collector's Club membership.